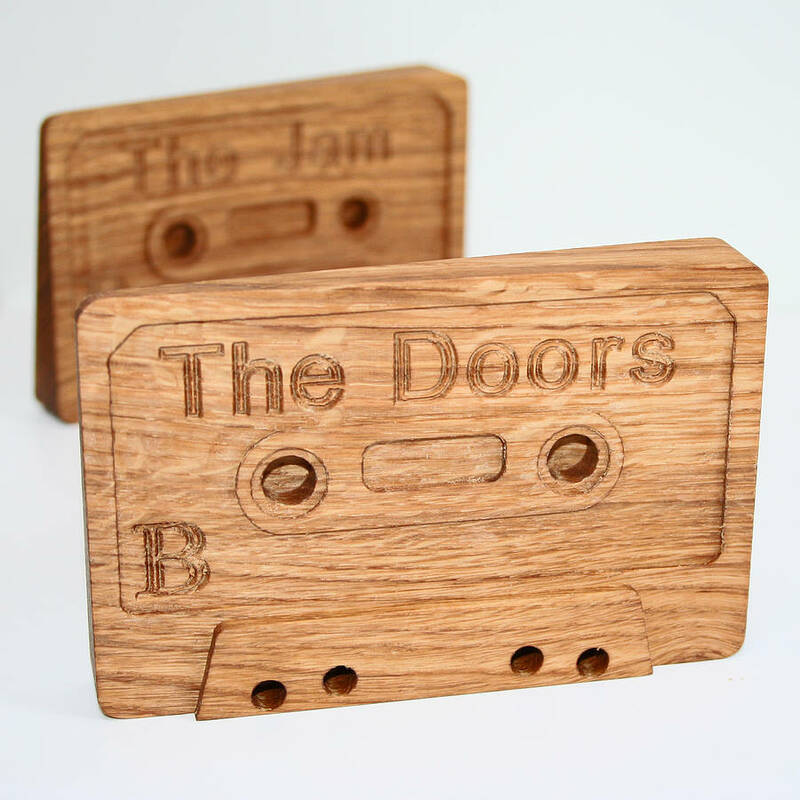 'The Compact Cassette Door Wedge' is a twist on the iconic cassette tape design. 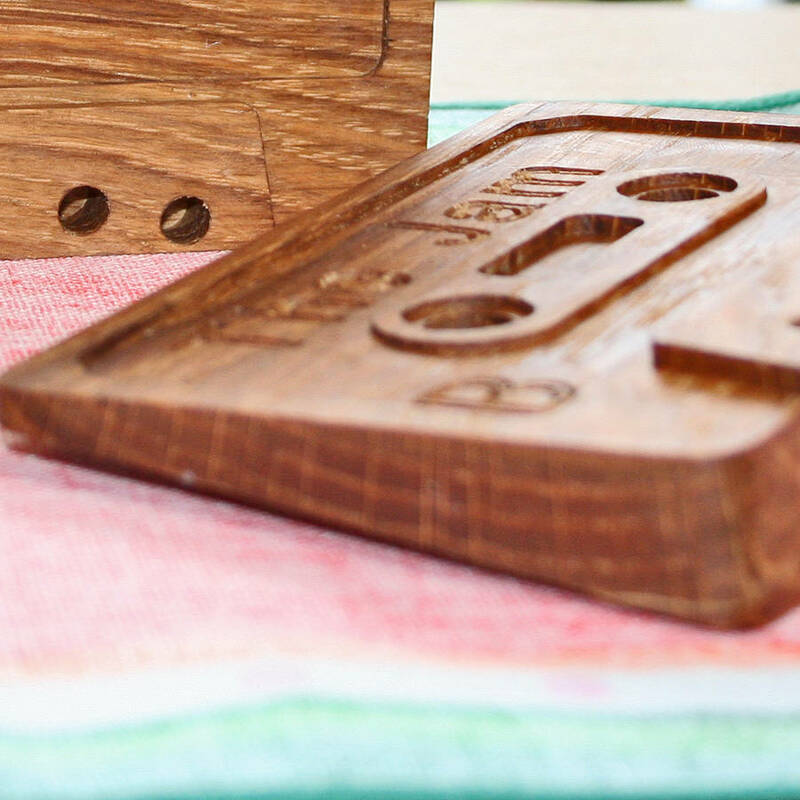 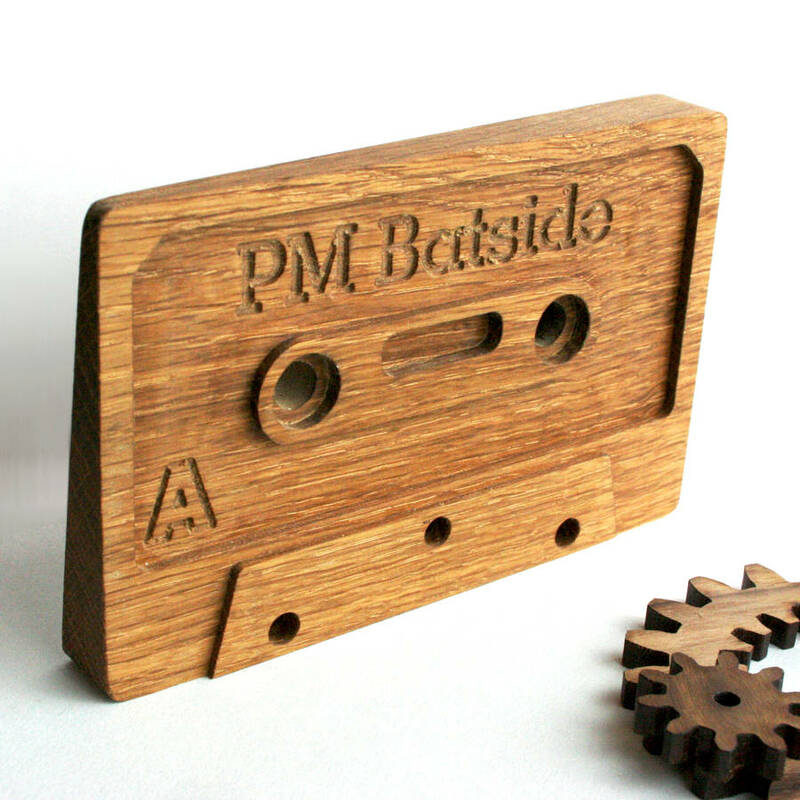 The compact cassette was designed in the sixties and used for dictation, nowadays you can use our wooden version for wedging open a door. 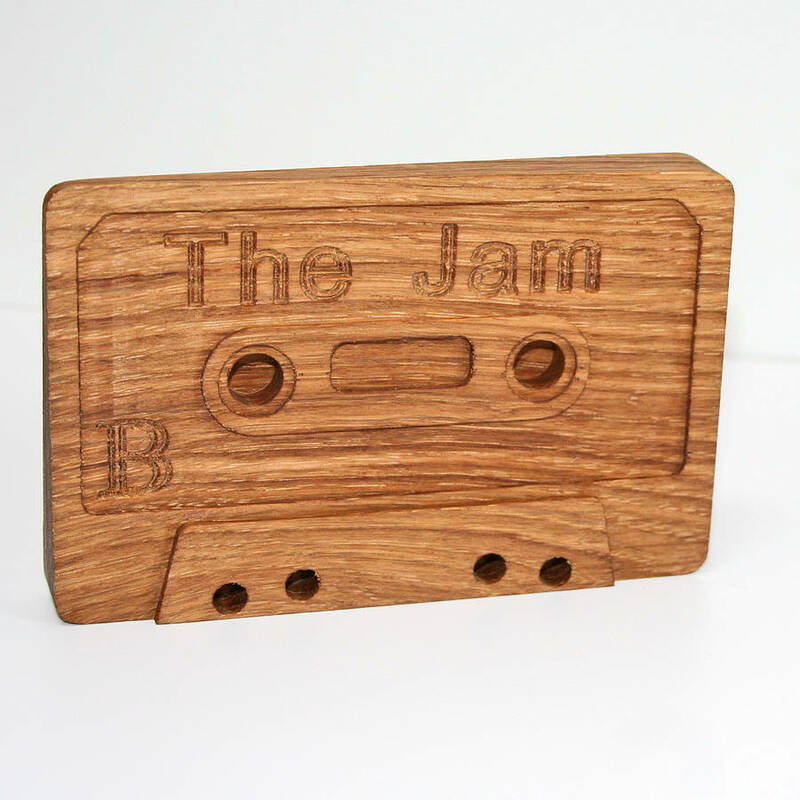 Postage within the UK is free and The Compact Cassette Door Wedge will arrive gift wrapped in tissue paper, ready to give or enjoy for yourself. 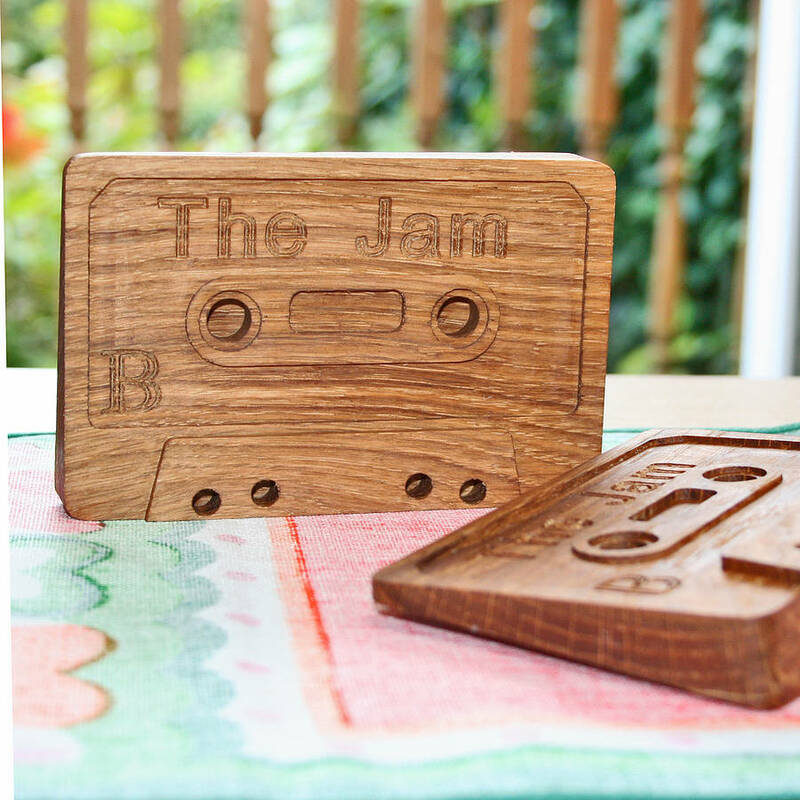 Create an original special gift with our option of personalisation. The cassette can be personalised with up to 11 characters, or you can choose a slogan from our selected range. 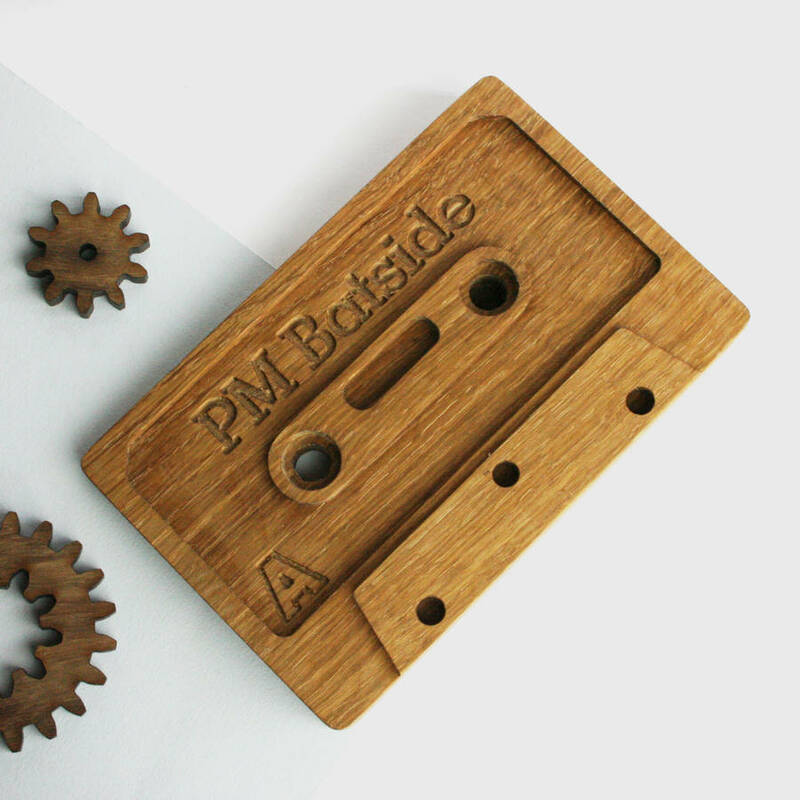 Made from one Solid piece of locally sourced oak and finished with natural oils. 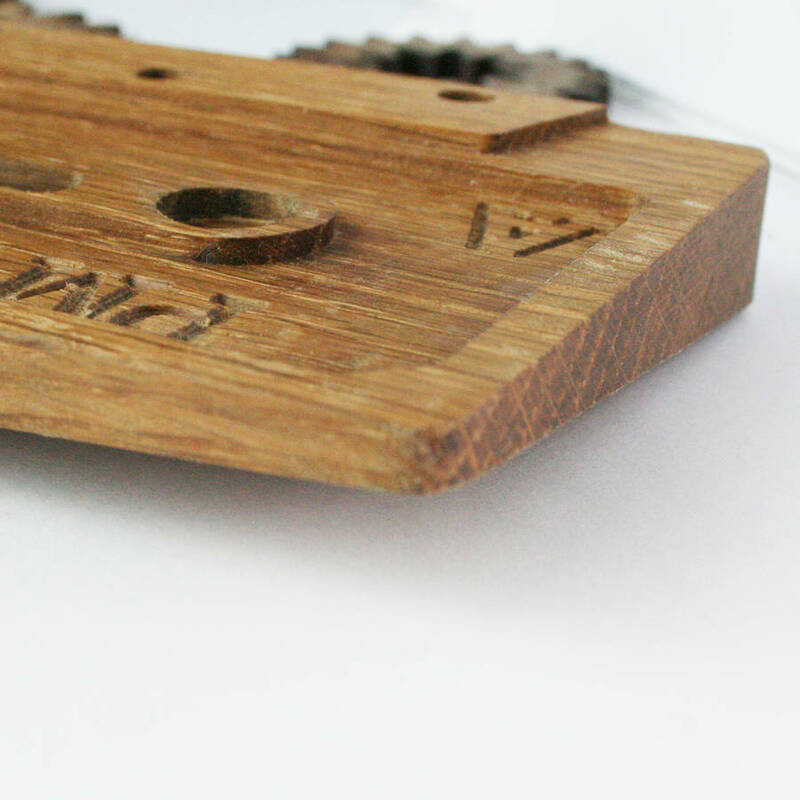 Length 13cm, Width 8cm, Depth 2.5cm. 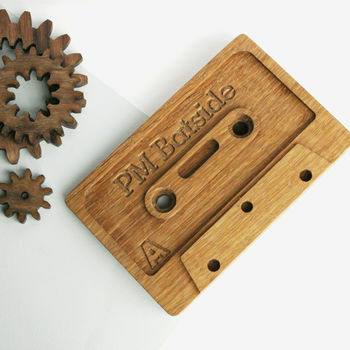 This product is dispatched to you by Wood Paper Scissors.